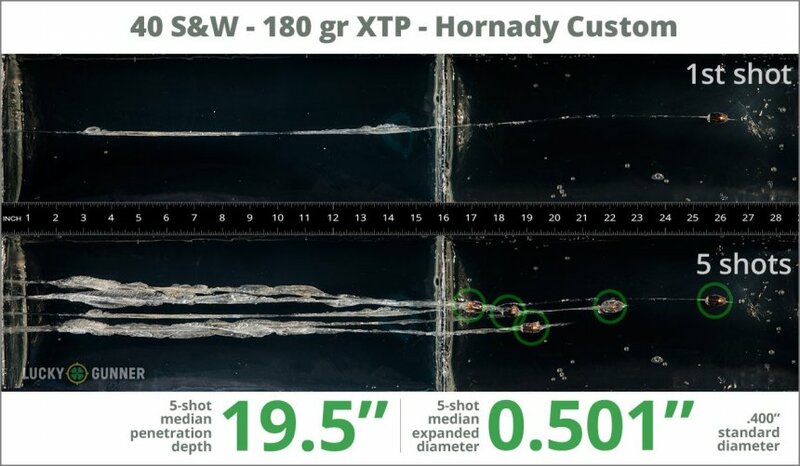 After firing five rounds of Hornady 180 gr XTP Custom from a Glock 27 into synthetic ballistic gelatin from 10 feet away through four layers of fabric to simulate clothing, we then measured the expansion and penetration of the bullets for this .40 S&W (Smith & Wesson) load, which you can see in the chart below. 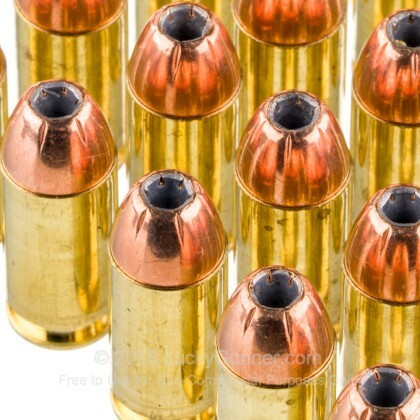 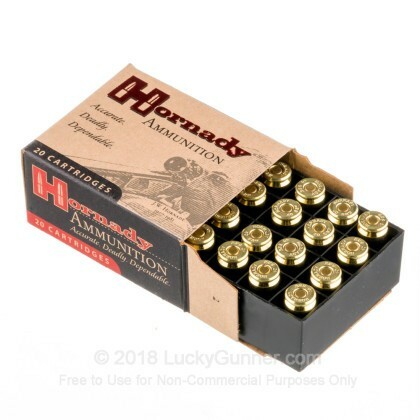 We don't have any reviews yet for this particular .40 S&W (Smith & Wesson) ammo from Hornady. 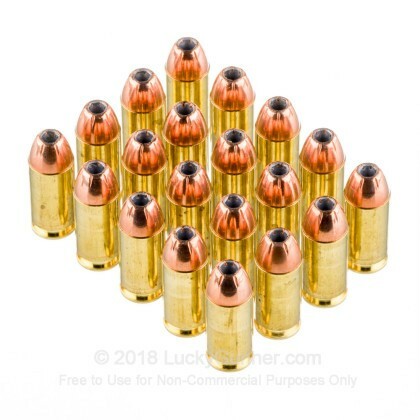 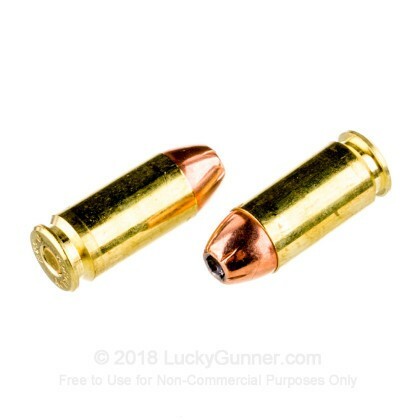 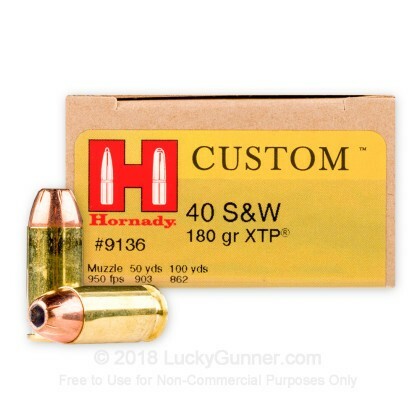 If you'd like to be the first to review this particular .40 S&W (Smith & Wesson) ammo from Hornady, fill out the form below. 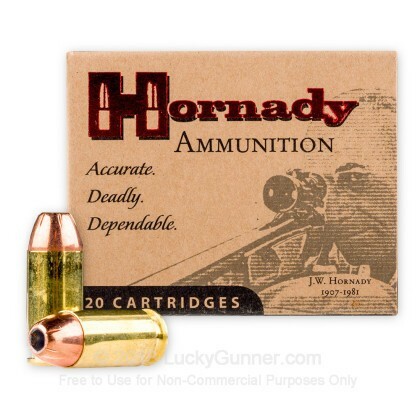 We also have this 40 S&W - 180 Grain XTP JHP - Hornady Custom - 20 Rounds ammo in stock in a smaller quantity.